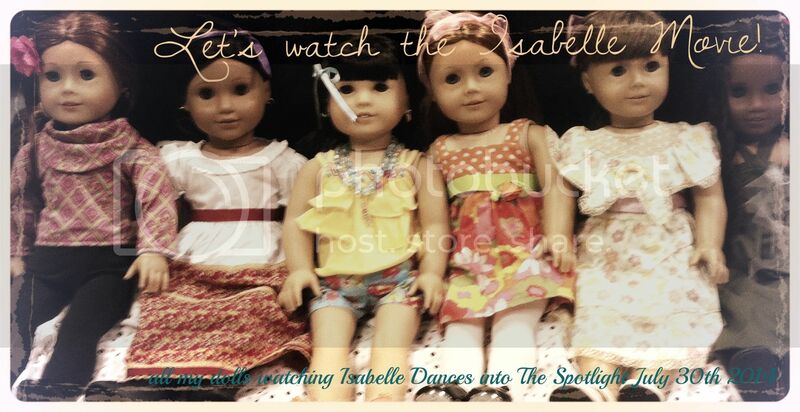 My dolls and I watched the Isabelle movie the other day. I LOVED it! If you want to see a detailed review of the movie, please click here. Have you seen the Isabelle movie before? What do you think about it? Are you going to watch it August 9th when it premiers on Disney Channel? The Isabelle movie: 4 1/2 out of 5 stars!!!! It was awesome, I loved it. Seriously. My mom bought it for me. I also got the last free pen set that was bundled with the movie 😀 it’s cute 😀 I definitely might want to ask about adding Isabelle to my doll collection. Ps. OmG Madi u are back!!! I missed ur posts like crazy girl 🙂 I like ur stopmotions btw they’re very good. Isabelle looks like a really pretty doll. If you do get her, I hope she adds a lot of style to your doll collection! P.S. Lol! That’s right, I’m back! 🙂 I’m so glad you like my stopmotions, thanks! Could you rent it on redbox? Aw 🙁 Cupcake’s right – could you rent it on RedBox? That’s how I watched it. I LOVED IT! It was probably my fav GOTY movie. Cool! I got to see the premiere at the theater for my birthday…it was awesome!